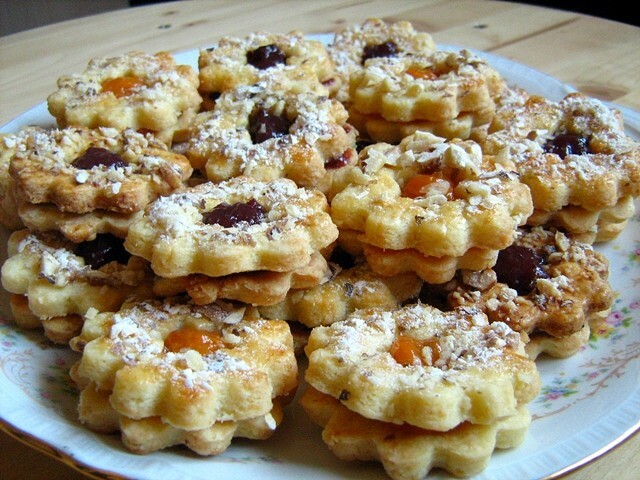 Diós kosárka is a sort of cupcake made up of shortcrust pastry and walnut filling. These cupcakes used to be baked for weddings because they could be prepared 2-3 days earlier and stay fresh long. 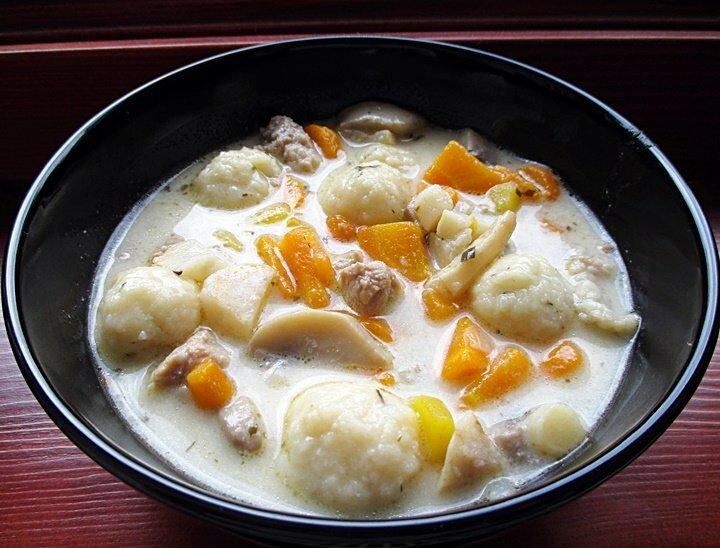 In many families diós kosárka is still served at special events. 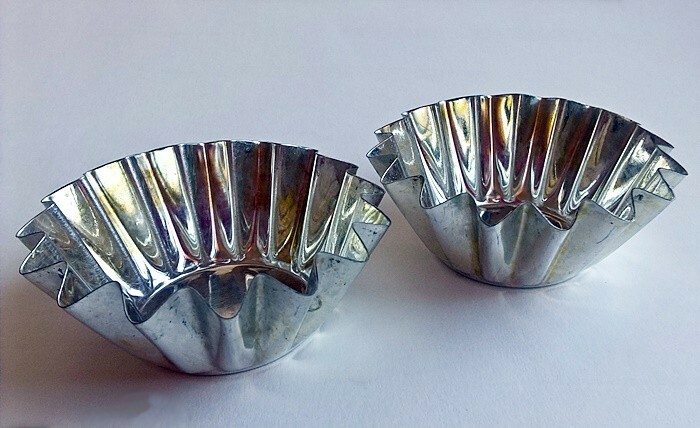 The cupcakes are baked in special scalloped pans, but a muffin tin can also serve the purpose. Pans must be buttered thoroughly so that the cupcakes can be removed easily. Let the cupcakes cool before getting them out of the pan. 80-100 g (~1/3 cup) melted butter for greasing the pans. Mix up flour, sugar and baking powder. Add egg yolks and diced butter, and knead into a smooth dough. Roll out the dough until 4-5 mm thin. With a 3 inch cookie cutter cut out circles and place them into the tins. Press the dough gently into the pan to stick it around the hole. 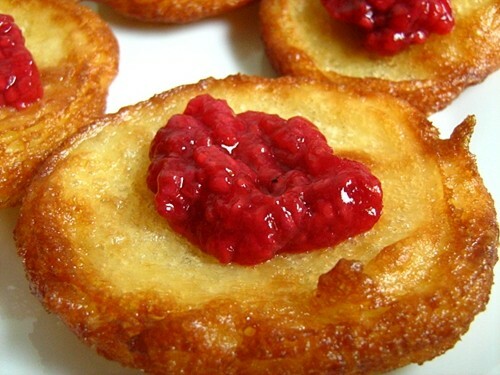 Put a teaspoon of apricot jam in each pastry shell. Whisk the egg whites and powdered sugar until stiff peaks form, then gently fold in ground walnuts and lemon zest. 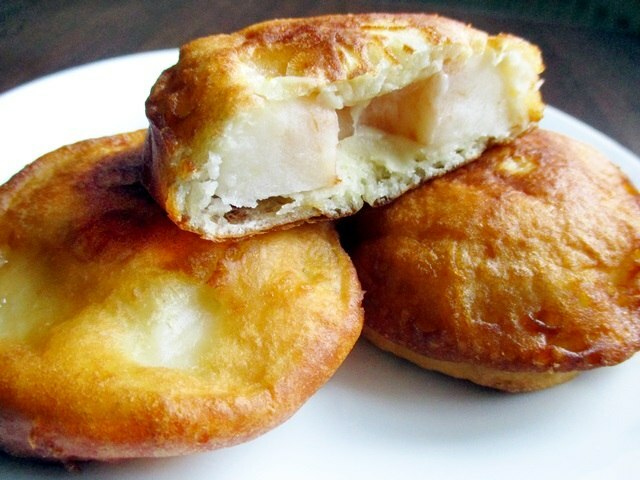 Fill each pastry shell with the filling. Place the cupcakes onto a baking tray and bake them in an oven preheated to 180°C for 15-18 minutes or until golden brown. Let the cupcakes cool before you remove them from the pans. These sound delicious. I’m wondering if they could be made with poppy seeds in place of walnuts? 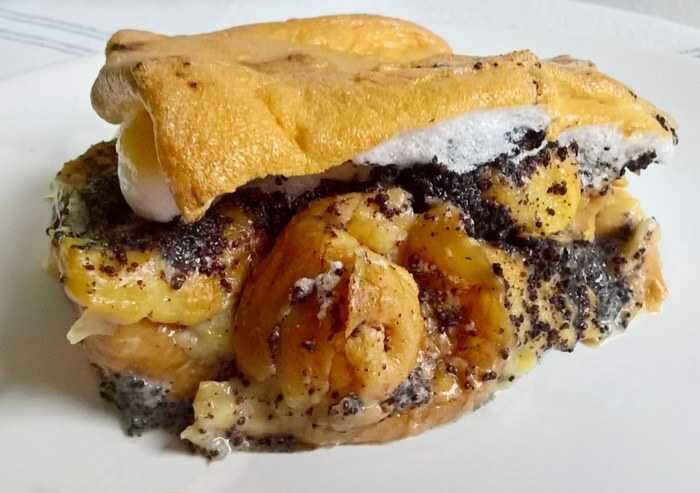 I have never made them with poppy seeds, but I think it’s worth trying it. 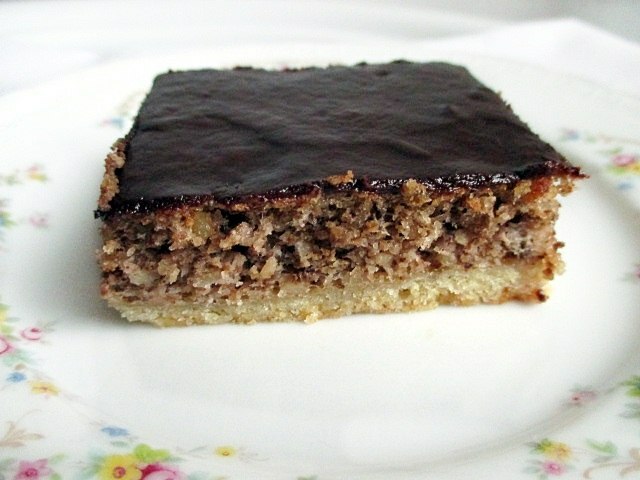 Hi Eszter – I tried your recipe for Diós kosárka and am very happy with the result. 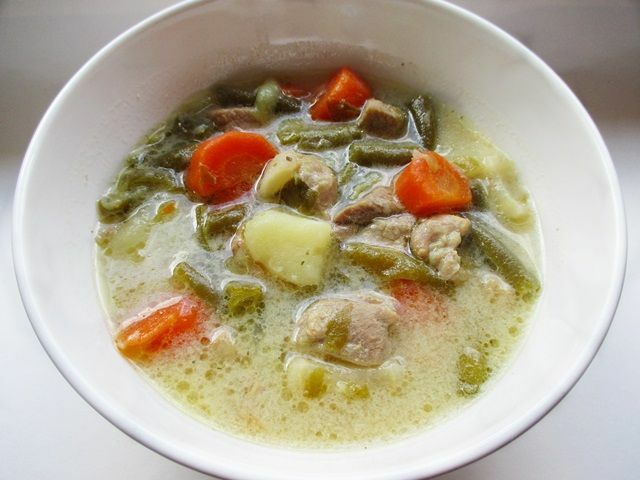 I have been browsing your recipes for some time (even bookmarked your flódni) and finally gave one of your recipes a try. My parents are Hungarian having left in 1956, and I was born in Australia. My Hungarian is limited, and whilst I do enjoy looking at recipes and videos in Hungarian, it is a welcome support to have something so clear and well presented in English to fall back on. 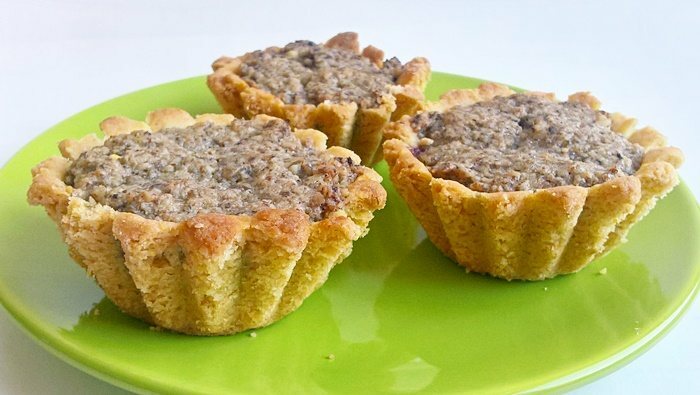 I am actually having one of these tarts now with coffee as I write this – yum. I had no lemons at the moment and left the lemon zest out but everything else followed the recipe. I did not have the shells so I used a muffin tray lined with paper cupcake holders. It turned out perfectly and I took them over to my brother’s place and also packed a few for my parents. Of course they all loved it especially the tanginess of the apricot jam with the walnuts. One other nice thing to come from your recipe is how I worked with the off-cuts. 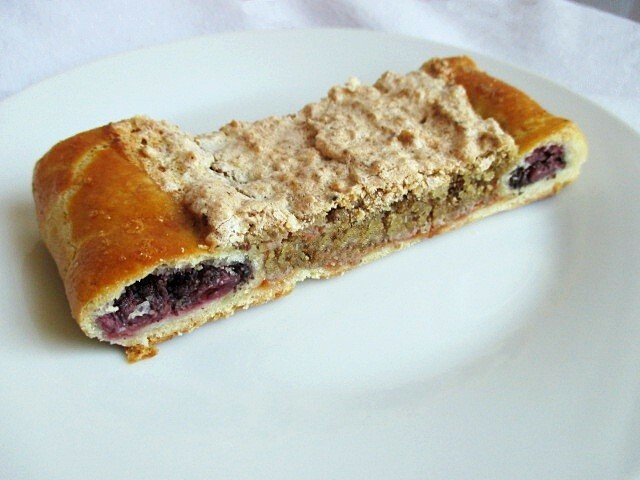 I rolled up the left over pastry and cut it into 2cm circles, brushed some apricot jam on it and put a dollop of filling on top – after cooling down I dipped the bottom in 70% dark chocolate and ended up with a wonderful cookie. After that I still had some filling left, so I made some 4cm cookies from just the left over filling and again dipped the underside in chocolate. So I was able to take Diós kosárka done three ways to the family gathering. So thank for putting this and all your other recipes together in your blog, I have looked through many already and will continue to look at them all. Hello Robert, It was a pleasure to read your comment about making kosárka and using scraps creatively. 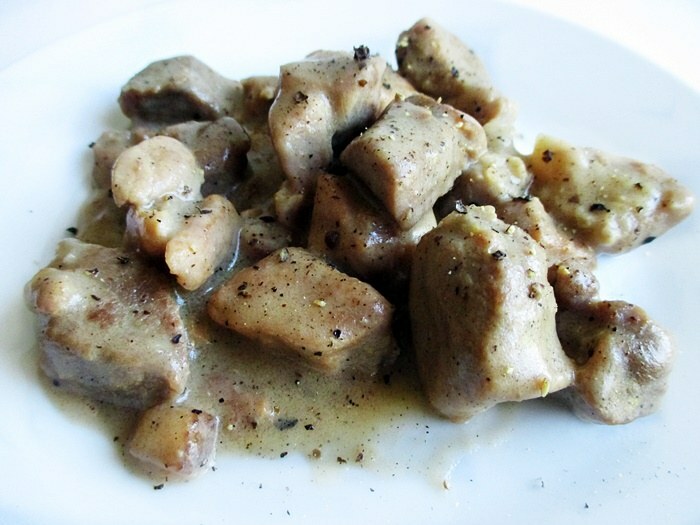 I’m glad that you can benefit from the recipes I publish, my intention was to help those whose knowledge of language is not good enough to read the Hungarian recipes, but would like to cook traditional dishes. 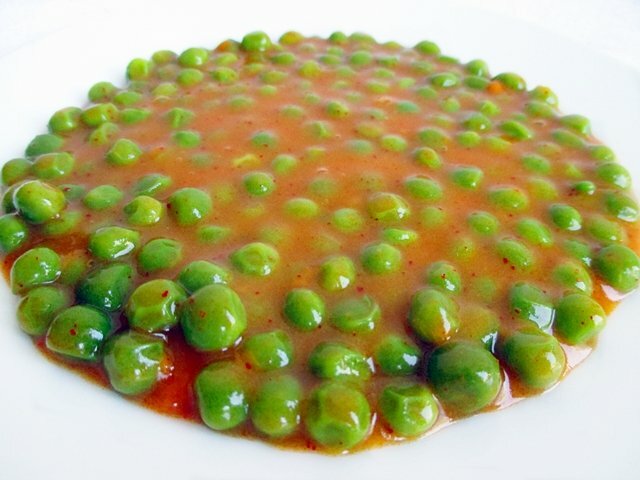 I hope you will give a try to other recipes as well. If I may suggest, you should make flódni next time (addiction guaranteed).